This is Larry. Behind Larry, you can see a beautiful vista, featuring a brilliant full moon rising above the iconic Golden Gate Bridge, as seen from the mild but nonetheless warm and not-at-all-hard-to-get-to-from-south-bay-during-rush-hour climes of Hawk Hill. 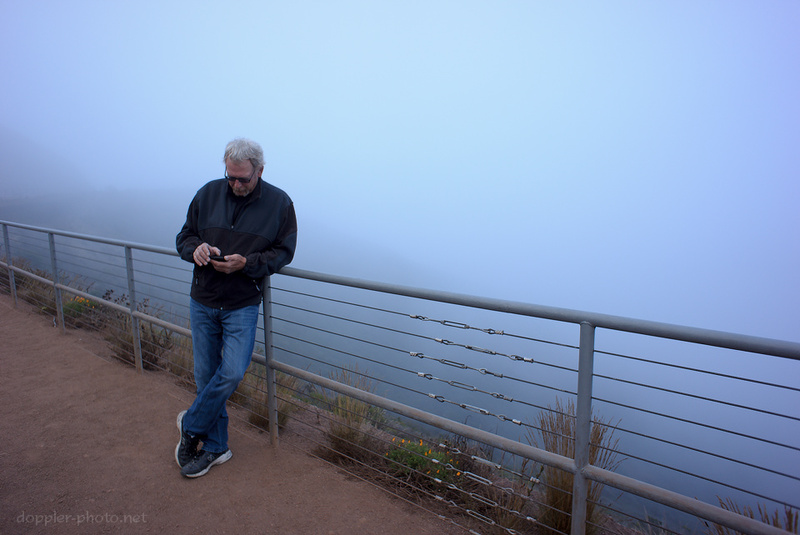 Ok… so maybe not… That was the plan, at least, but the fog started off thick and gradually turned to opaque as we waited. Not good news. As a backup plan, we took off and headed off toward the eastern reaches of Tiburon. In Tiburon, there was no fog but also no bridge, but sometimes you make do. I pulled out my tripod, but I never actually used it. As a people photographer, I ended up trying to find interesting scenes with people in them. 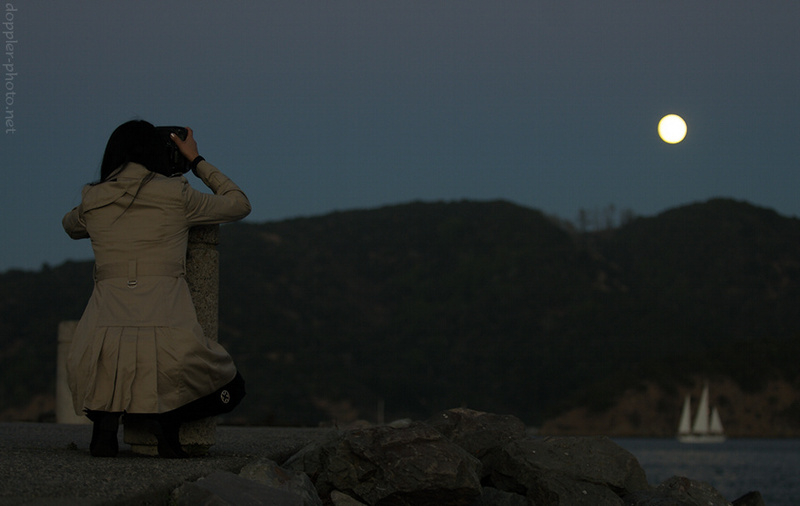 Here, my friend Jia takes a photo as a sailboat passes through the wavering reflection of the moon on the tiny waves in the bay. 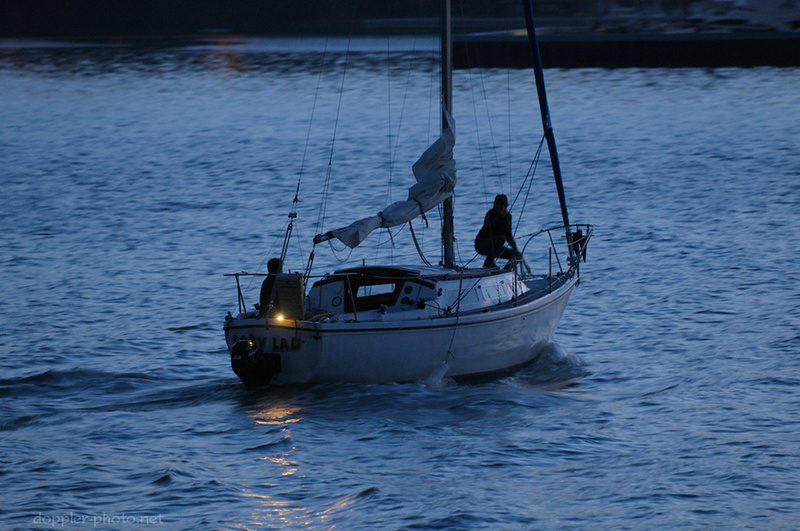 As the sunlight fell and day turned to dusk, a variety of boats passed us as they returned to harbor. You see, Tiburon is something of a nautical town. Here, a sailboat follows the dwindling solar twilight as it heads toward the Corinthian Yacht Club. 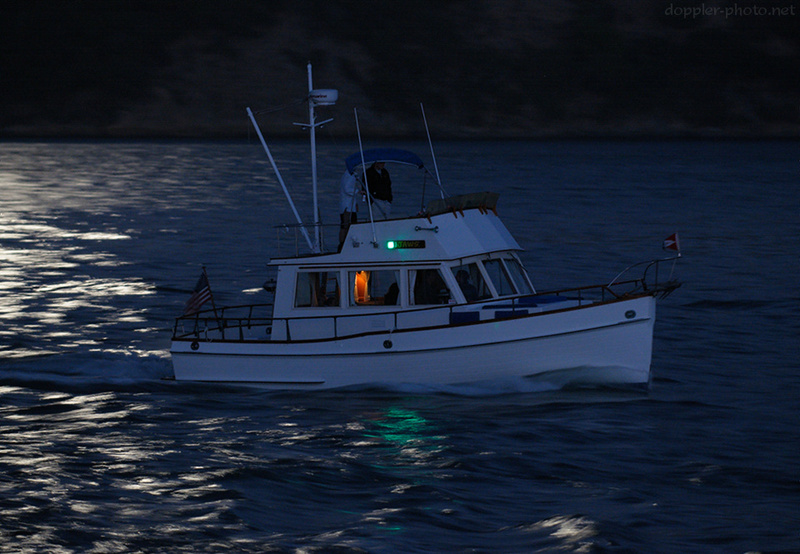 An oddly-familiar-seeming boat with the inscription "Jaws" passes through the moonlight on the bay. 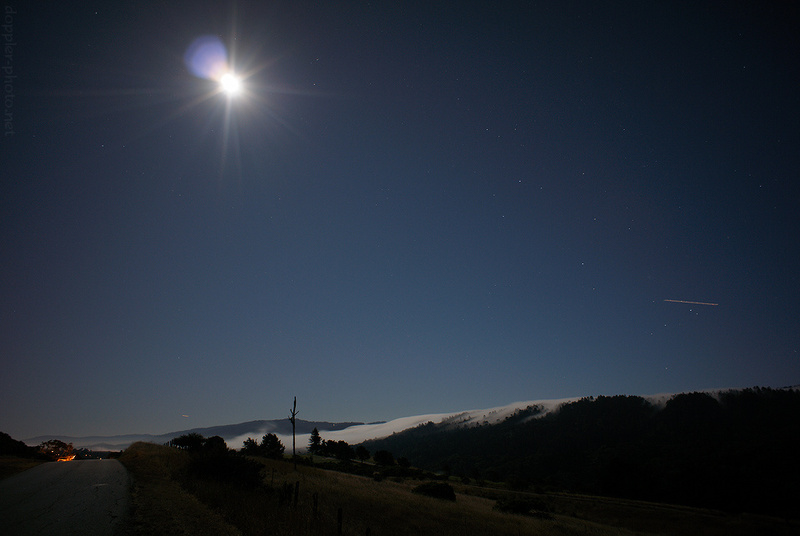 On the way home, I spotted some more fog spilling over CA-92 again and decided to stop a bit farther north, what with the full moon providing some illumination for the foreground. I love how the wisps of fog spill through the treetops on the mountain.